In front of a good crowd at Golden Square’s Wade St ground last night under lights Pakistan went 2-0 in the Dosti Cup contest between India and Pakistan. Dosti is the Hindi and Urdu word for friendship. 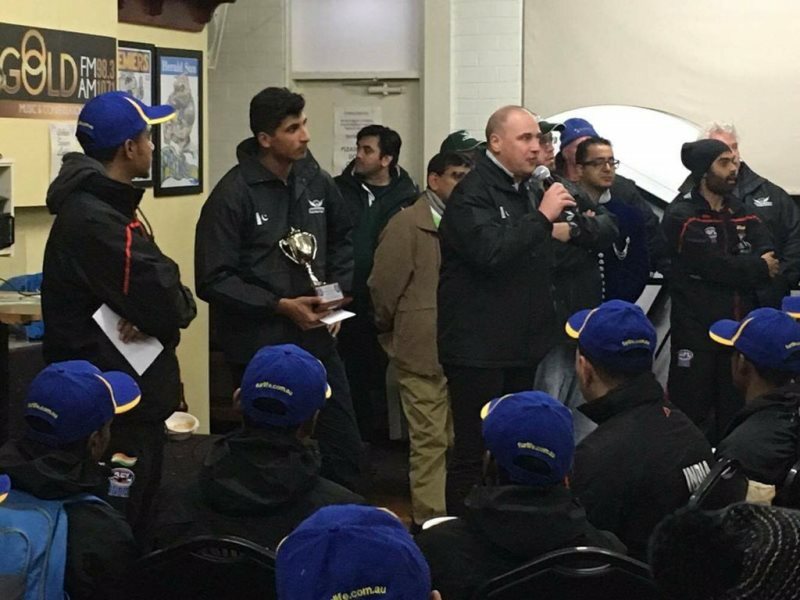 In 2014 Pakistan heavily defeated India at Craigieburn to the tune of 94 points. Last night though the match was much closer. The final margin being just 9 points . The Indian team would have been a little disappointed they could not get the win for their Golden Square friends and hosts but surely must have been happy to see the narrowing of the gap from three years ago. In the lead up to last night’s match the Indian players were billeted with members of the Golden Square club community. 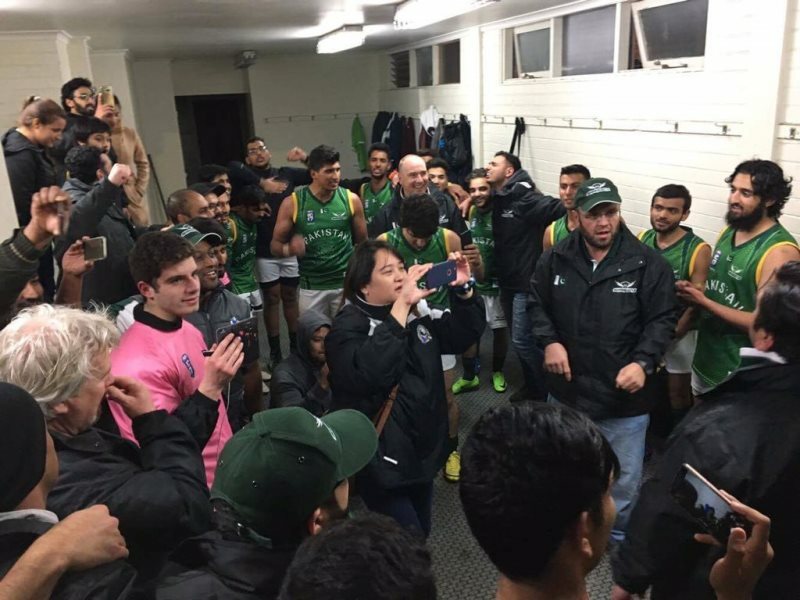 They also played a practice match and took part in a club training session before they launched the lead up to IC17 Round 1. 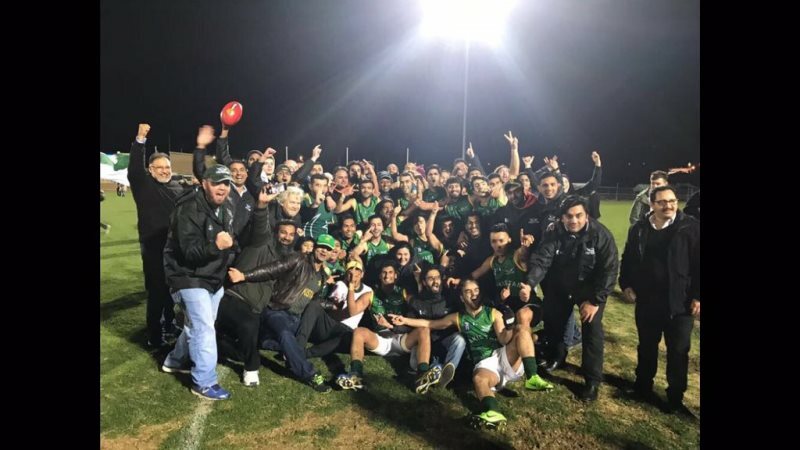 Golden Square and India have a solid relationship that has build over the past few years and Bendigo delegations have helped with the running of the AFL India National Championships. Kangaroo Flat Primary School students made Pakistan’s banner for the game last night, while students from Golden Square PS made India’s. 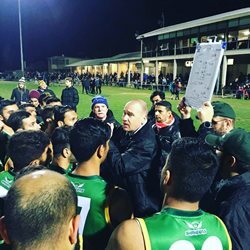 India took a two point lead into quarter time last night. And the game was a real arm wrestle from start to finish. In such a tight match the second quarter was pretty much what decided the match with India only scoring one point while Pakistan kicked 1.2, otherwise both sides scored a goal in each quarter. Daneyal Khan once again was impressive in the air and by foot around the ground and was best for Pakistan and probably best on ground. Amar Roshan Bara was named best for India. Goal Kickers: K. Khan, Z. Hussain, F. Khan, H. Qureshi. Goal Kickers: A. Ashraf, A. Bara, A. Kalia.